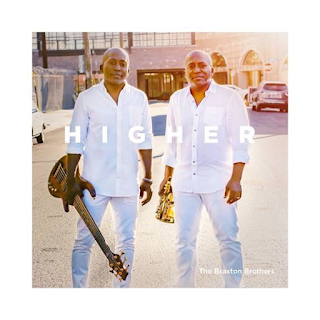 “Higher” is a return to the smooth and contemporary jazz sandbox The Braxton Brothers are best known for playing in. Their last such outing was 2004’s “Rollin’,” which cemented their presence as genre staples on radio playlists, national charts and concert stages. The duo that debuted with 1996’s “Steppin’ Out” explored a decidedly different path on their last offering, the jazzy acoustic R&B set “True Love” (2013). They are currently planning an album release concert celebration around their September birthday in San Diego where they are based. Along with designing a show they describe as “new level,” they’re lensing videos for selections from the new album. Please let me know if you want to be removed from our press release distribution list.